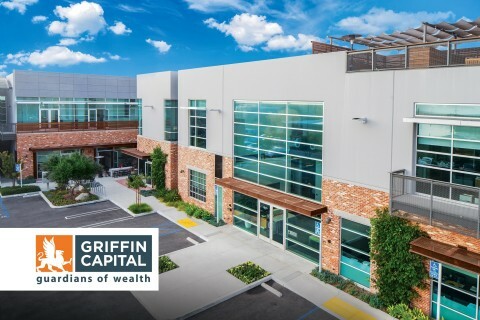 EL SEGUNDO, Calif.--(BUSINESS WIRE)--Griffin Capital Company, LLC (“Griffin Capital”), a leading private investment firm and one of the nation’s premier alternative investment advisors, today announced the achievement of several significant milestones in 2018. The company raised and issued $1.6 billion* of investor capital in 2018, an increase of 10 percent over 2017. The company has raised $11.6 billion in investor equity capital inflows to its investment programs and funds since January 2012. The company’s Institutional Access® interval funds made up the majority of the investor inflows for the year at $1.1 billion, of which $1.0 billion was raised for the Griffin Institutional Access Real Estate Fund. Griffin Institutional Access Real Estate fund also grew its assets under management to $2.8 billion as of December 31, 2018. The company also announced in previous releases two significant milestones about its flagship REIT, Griffin Capital Essential Asset® REIT (“GCEAR”). In December 2018, GCEAR and Griffin Capital Essential Asset REIT II, Inc. (“GCEAR II”) entered into a definitive agreement to merge in an all-stock transaction, creating a $4.75 billion, self-managed REIT, which generates significant benefits for shareholders, including substantial cost savings, increased operating efficiencies, and immediate accretion to earnings and cash flow. The merger will combine two highly complementary portfolios with similar construction and investment mandates, significantly increasing the size, scale, and diversification of the combined company. In August 2018, GCEAR announced the execution of a $250 million purchase agreement for Perpetual Preferred Shares. The first tranche of the Series A Preferred Shares were purchased in their entirety by SHBNPP Global Professional Investment Type Private Real Estate Trust No. 13 (H), a trust sponsored by Hana Financial Investment, the sole bookrunner. The lead investor in the trust is NH Investment & Securities and Shinhan BNP Paribas Asset Management is the trust asset manager. “To issue a perpetual preferred share offering acquired in its entirety by Korean investors is groundbreaking and followed over two years of relationship building,” commented Kevin A. Shields, Chairman and CEO of Griffin Capital Company. Griffin Capital Company, LLC ("Griffin Capital") is a leading alternative investment asset manager. Founded in 1995, Griffin Capital has owned, managed, sponsored or co-sponsored approximately $16.8 billion in assets. The privately held firm is led by a seasoned team of senior executives with more than two decades of investment and real estate experience and who collectively have executed more than 650 transactions valued at over $22 billion. Griffin Capital’s alternative investment solutions include three groups of complementary products: non-listed real estate investment trusts (REITs), interval funds in the company’s Institutional Access fund family and Delaware Statutory Trusts (DSTs). The firm’s investment strategies include diversified core real estate and global corporate credit securities, as well as direct real estate ownership in sector-specific portfolios focused on net leased essential office and industrial assets, clinical healthcare properties, grocery-anchored shopping centers and multifamily real estate assets. These solutions include: Griffin American Healthcare REIT IV, Griffin Capital Essential Asset REIT II, Griffin Institutional Access Credit Fund, Griffin Institutional Access Real Estate Fund, Griffin Institutional Property Exchange DSTs and Phillips Edison Grocery Center REIT III. Griffin Capital Securities, LLC, Member FINRA/SIPC, is the dealer manager for non-traded programs sponsored by Griffin Capital Company, LLC and the exclusive wholesale marketing agent for the Company’s interval funds.